Not bad. The Russian 56 2 XL village as necessary. But the pattern unsuccessfully tailored sleeves, very skinny top that with all свободности sweaters, in hands pulling shoulders while in place. Fabric flabby synthetic, the photo is more smooth. But in general, an interesting thing. 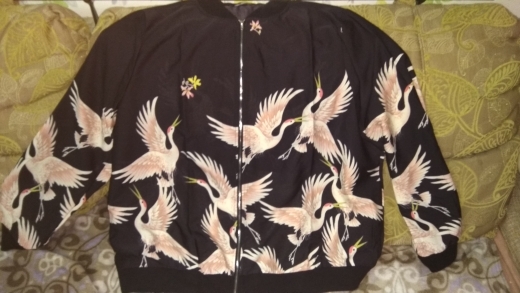 Nice lightweight jacket. good quality sewing and shipping was super fast. generous size for curvy ladies! Very happy with item. we recommend this seller/store to others. Thank You Very Much. seller 5 stars. parcel arrived quickly, all carefully, the size. your Health and well being!!!!! Jacket is very thin, pritenzy. Size Looks nice. Thank you very much! 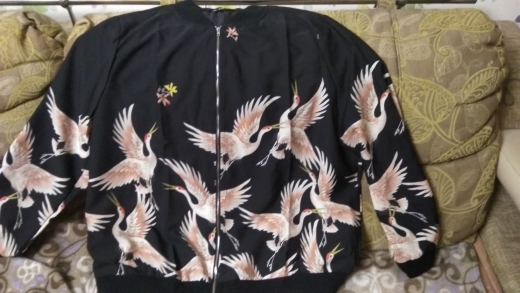 great seller 10 days delivery good quality beautiful bomber jacket .thank you .i will bay again.